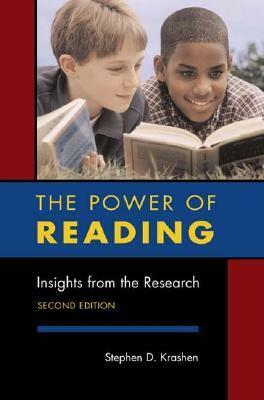 (5) The best predictor of performance on tests in which children have to understand what they read is real reading, especially self-selected reading. (6) “Basic phonics” can be helpful: teaching straight-forward rules that children can learn and can actually apply to texts to make them more comprehensible. Our ability to use complex rules is acquired as a result of reading. Outside the billionaires' bubble that insulates Betsy DeVos from the real world, there are employees at the U.S. Department of Education who are depressed, pissed off or, otherwise, upset over the many ways Betsy has made life at ED worse under her misleadership. 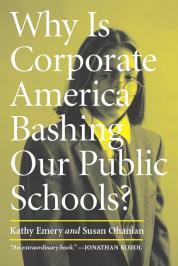 And remember, we're talking about worse than life under Arne Duncan! In fact, the positive vibe has dropped from 65% to 43%, which is not too far off from reflecting the approval of Obama (58%) and Trump (42%). 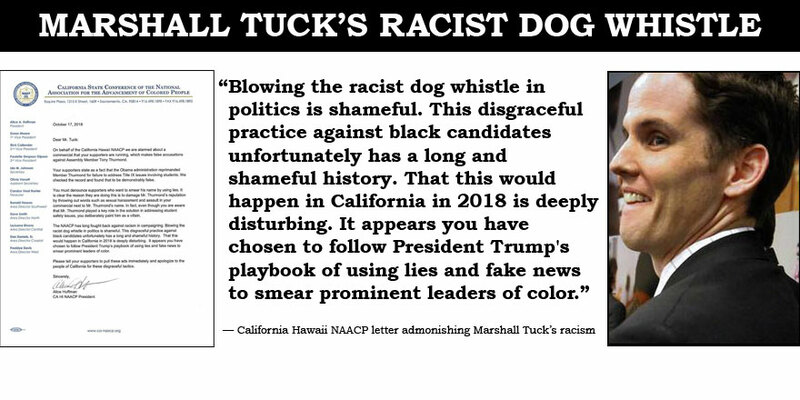 The NAACP’s letter rightfully calls Marshall Tuck and his corporate backers out for their “[b]lowing the racist dog whistle in politics.” For business banker Tuck and the market-share obsessed charter school industry to accuse others of “not serving minorities” is really quite astonishing. We must bear in mind that this is the same Tuck whose policies, much like those of his contemporary counterparts Tom Horne and John Huppenthal of Arizona, caused irreparable harm to students of color. Tuck closed down popular, research proven, Ethnic Studies programs. For example, Tuck completely eliminated Ethnic Sudies at (PLAS) Santee High School. Tuck also restricted and shuttered well regarded and research proven Heritage Language Programs and Dual Language Immersion programs. These language program closures and restrictions were so egregious, and such a violation of students’ civil rights, that the Mexican American Legal Defense and Educational Fund and Public Counsel Law Center jointly filed a Uniform Complaint Cause of Action against Tuck on their behalf. It took years of protracted court battles to defeat Horne and Huppenthal’s attacks on students of color. 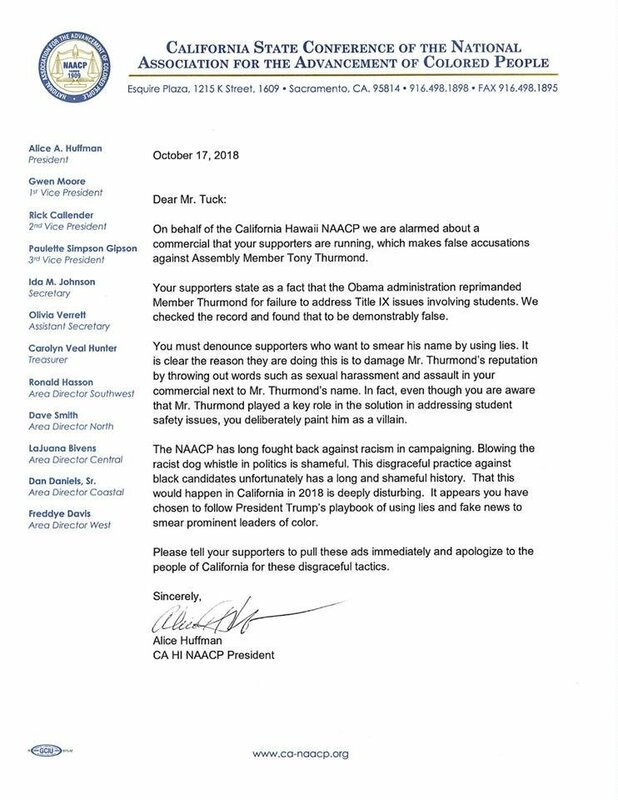 We can stop Tuck from carrying out that same agenda by simply electing Tony Thurmond. Californians have an opportunity to show Tuck and his right-wing backers that there’s no room for bigotry and ethnocentrism in our public institutions. Until I read this post below by Alison McDowell, I had not considered the international corporate benefit of operating an army of industrial robots from afar. But why shouldn't globalized business take advantage of this brave new world: producers like China and India can keep factories operating where the air is too toxic or too hot for humans to breathe; Silicon Valley can stay busy generating the hardware and software for production; the education industry can train up an overabundance of gritty, grateful, and self-controlled robot operators who never have to leave their screens to clock in and clock out from factories afar. After all, if we can have the Air Force carry out a war in Middle East deserts from air conditioned bunkers in Colorado, why shouldn't international capitalism take advantage of these same tech tools? This is the second of ten questions presented as a Trans-Atlantic dialogue between myself and UK blogger Privatising Schools. 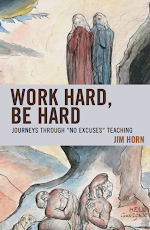 Read the introduction and first installment here. A condensed version pulling together content of several responses for UK audiences can be read on the Local Schools Network website. 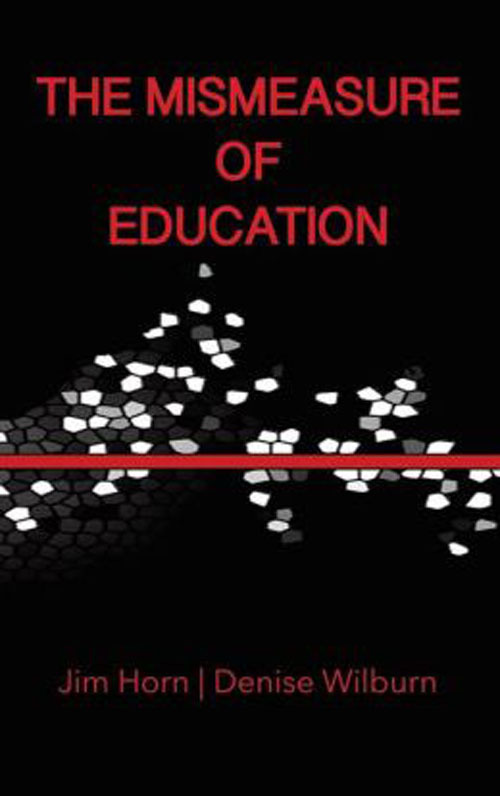 Anthony Seldon, a former headteacher who is an influential voice in education debate in England, has published a book called The Fourth Education Revolution. He claims that robots – ‘adaptive’ learning systems or ‘AI personal tutors’ – will replace teachers within 10 years. In some schools, state-of-the-art technology is bringing education to life by helping children take virtual trips through the Amazon and control robots, while also slashing the time their teachers are spending on burdensome administrative tasks. It seems Mr. Seldon’s book may be referencing the shift to what is being called the Fourth Industrial Revolution, a concept advanced by the World Economic Forum (WEF). In the spring of 2017, WEF opened a Center for the Fourth Industrial Revolutionin the Presidio in San Francisco, California. The focus of the Center is to develop policies around the future of work, automation, artificial intelligence, cross-border data flows, the Internet of Things, and technologies like drones and autonomous vehicles. To make sense of what is happening in schools today we must place ourselves in the position of the global elite. They anticipate a future where stable careers that pay a living wage will become increasingly scarce as automation and virtual agents creep into service sector jobs like teaching, medical treatment, therapy, and elder care. They anticipate a future where human-robot cooperation is normalized in advanced manufacturing settings. For a sense of research underway see the publication list from the Tufts Human Robot Interaction Laboratory here. As digital economic systems take hold through widespread adoption of crypto-currencies and Blockchain smart contracts, global supply chains will continue to evolve. Corporate interests will be operating from a globalist perspective. The real world and virtual worlds will meld in ways that disrupt current conceptions of human capital and supply chain management. A malleable workforce with the proper mindset will best serve the interests of the elite. That is why we are seeing growing emphasis on capturing data on students’ non-cognitive skills. People must be acclimated to the premise of “lifelong learning” in which they will be constantly reskilled to effectively interface with cutting-edge automated systems. Having a population of independent thinkers will not benefit those at the top of the economic pyramid. In fact, independent thinking of the type encouraged by self-selected reading over algorithmic online education modules could be perceived as a threat. There will always be a small group at the top who will have access to humane instruction, but the masses must be conditioned towards dutiful acceptance of their fate, placated with digital entertainment and monitored through deployment of ubiquitous surveillance being incorporated into “smart” city design. Those in positions of authority have long-range plans with aligned communications strategies geared to incrementally move us towards acceptance of these “innovative” practices. If they move at a gradual, yet steady pace it is likely people won’t catch on and instead will accept this future as if there were no alternative. Adoption of virtual field trips as a mode of educational training is one example of how tele-presence is being normalized, despite serious health concerns over VR use in children. If the goal in fifteen years is to make it acceptable for poor people to carry out manufacturing activities via virtual reality simulators for affluent factory operators in distant, secured locations, they have to get people conditioned to operating in virtual worlds now. But it should seem like fun, not work. It should be presented as a special opportunity, not drudgery. In closing, I will add that virtual reality systems enable the capture of vast amounts of biometric data. Most people do not realize when they put on a headset and hand pieces, they create as much data as they consume. In addition to eye tracking and body positions, systems can also capture heart and respiration rates, blood pressure, and emotional states. See more information here, here, and here. Many companies are also looking to position virtual and augmented reality simulators as impact investments, due to their capacity to change attitudes and opinions around social issues. This aligns with research I recently undertook around “solutions” journalism and impact markets in media. In any event, don’t listen to Mr. Seldon; beware VR empathy machines.